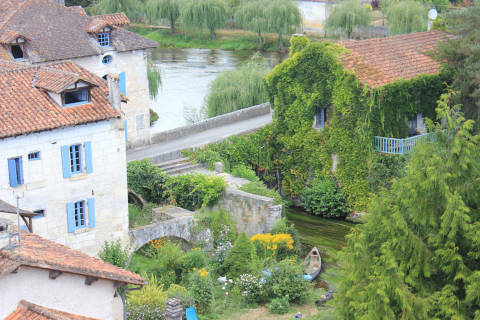 The picturesque village of Bourdeilles sits peacefully on the Dronne River in the northern part of the Dordogne department near Brantome. 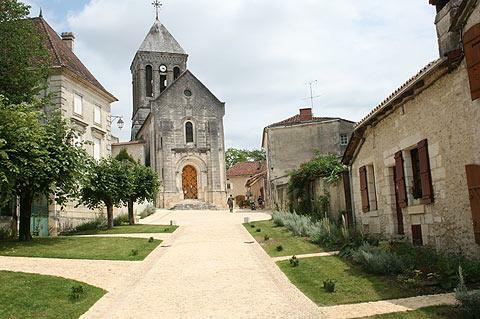 France This Way comment: although it is small the village of Bourdeilles has a castle and several other sites of interest and a visit is recommended. 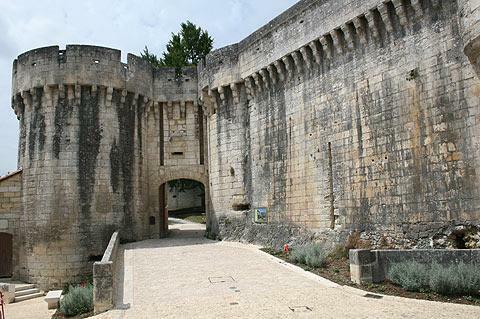 The Chateau de Bourdeilles dominates the village and is the center of a visit. 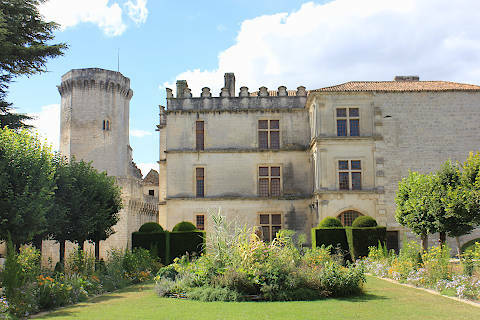 In fact the 'chateau de Bourdeilles' consists of two distinct castles - an older castle, and then a larger more recent renaissance castle. 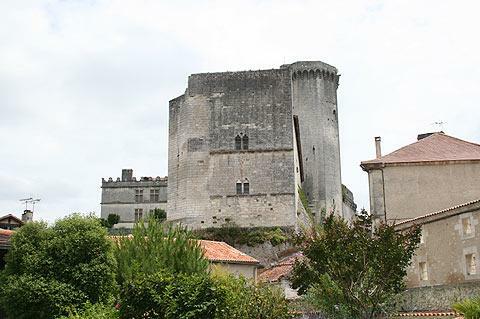 The older fortress section, dating from the 13th century, is the part containing the the impressive octagonal keep that dominates the skyline of the town, while the adjoining newer 16th century chateau is an altogether more refined building, with rich furnishings throughout. 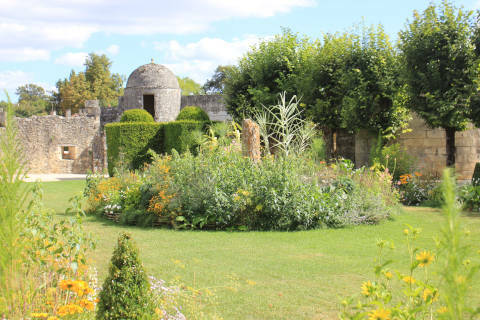 The chateau gardens are very traditional French style with plenty of small meticulously shaped shrubs and give a lovely backdrop to the chateau. 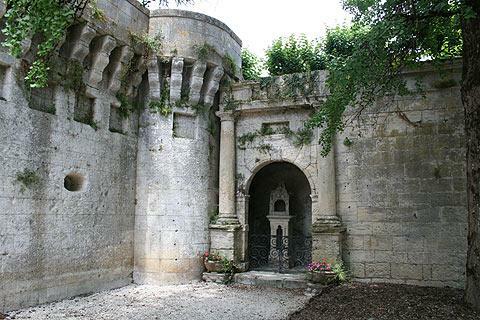 See more information at our Chateau de Bourdeilles guide. 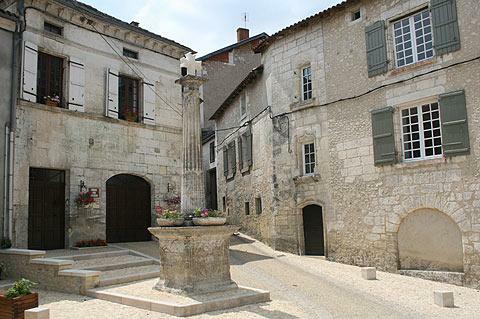 There is an open square in front of the castle where you can find a couple of cafes and the Bourdeilles tourist office. From here there is also a pretty street running up from the castle entrance to the church, again with carefully maintained gardens lining the path. 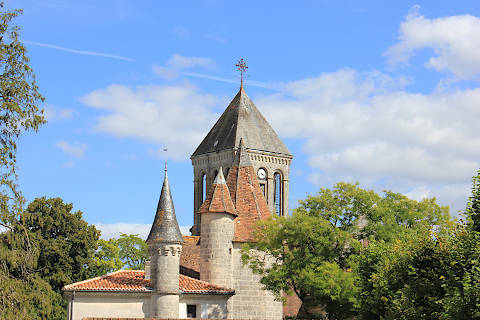 If you go around the back of the church you will discover a far-reaching viewpoint across the roofs of Bourdeilles and the surrounding countryside, then you should follow the path down to the river at the bottom of the village. 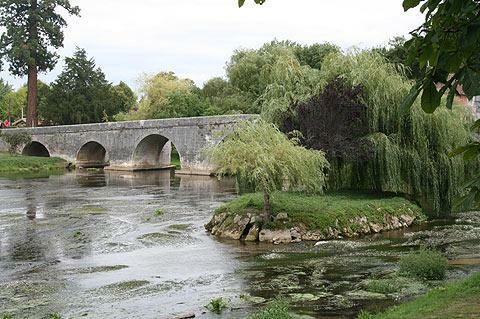 You can stroll a little way along the banks of the river Dronne in a pleasant setting lined with gardens and trees. 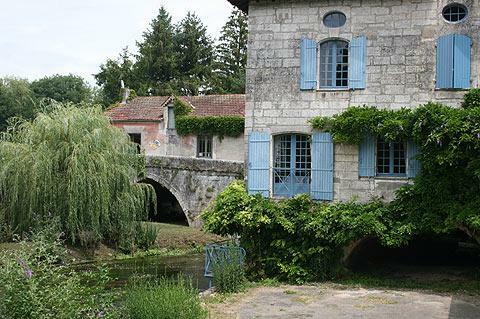 The river is also crossed by an ancient stone bridge which overlooks a mill and there is an ancient village washhouse. 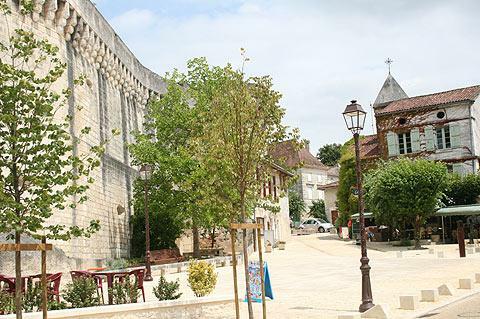 There are several places near here that we like very much including the lovely town of Brantome, the imposing Chateau de Puyguilhem and the important town of Perigueux, which has one of the largest historic centres in the region. 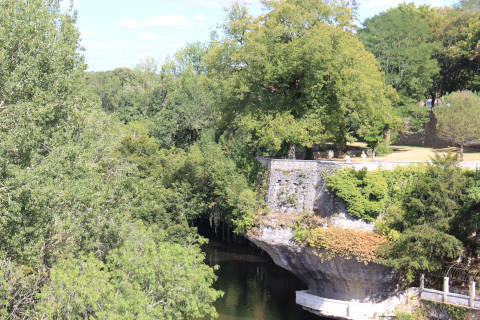 See more of the châteaux in the Dordogne.